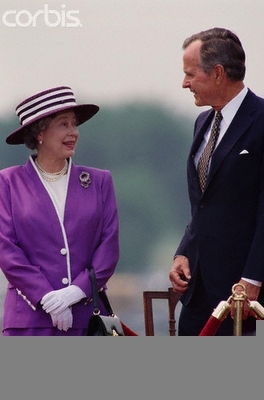 1 Queen = 12 Presidents!!! 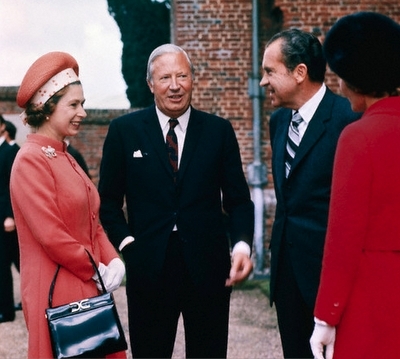 In an economic downturn, one wonders whether our Founding Fathers made the right choice in breaking away from England. 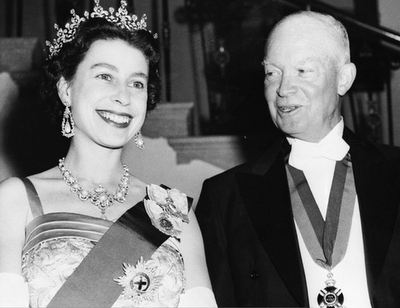 During the reign of England’s current Queen Elizabeth, we in the United States have had 12 U.S. Presidents! 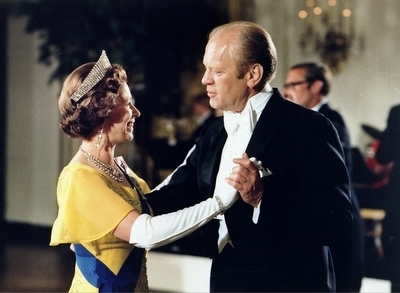 Yes, that’s 16 elections, 12 inaugurations, and 11 pensions while our neighbors across the pond have had but 1 coronation. Hmm! 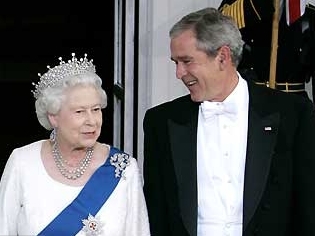 The haberdasher from Missouri looks a little uncomfortable in the presence of Royalty. 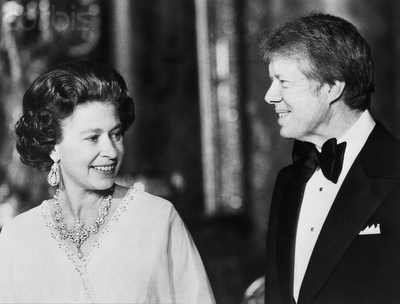 Dwight compliments the Queen on her dazzling smile. 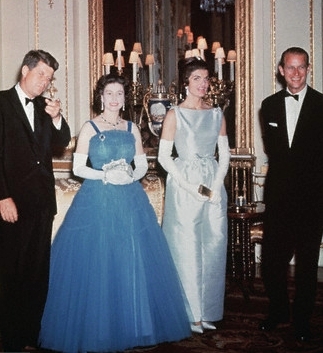 JFK appears a little preoccupied. Maybe, he was expecting a call from Marilyn Monroe. 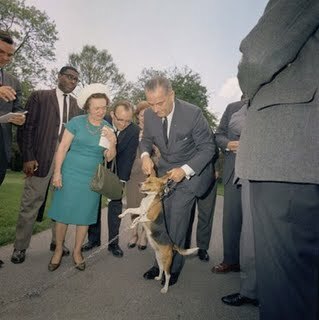 Apparently, LBJ had no photo ops with the Queen; however, he did take a photo with a dog named “Queen” (I made that up). 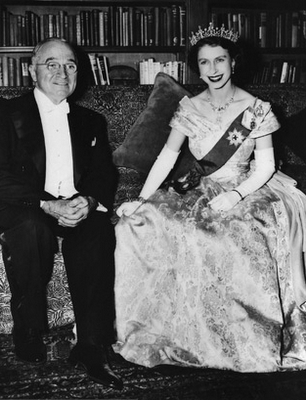 What this bust shot does not show is the fact that the Queen is smiling through the pain of Gerry – noted for his clumsiness – stepping on her toes. Check out the smiles (or should I say grimaces). These two clearly do not like each other. 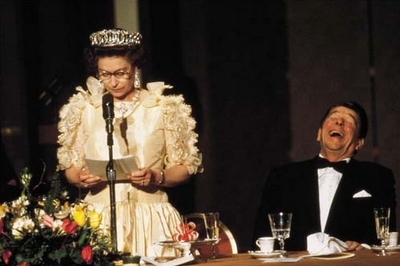 The Queen has just told a dilly, and the Gipper is either having a hearty laugh or yawning. If you’re thinking that these two look like stiffs, you’re right! This picture is actually of two mannequins. 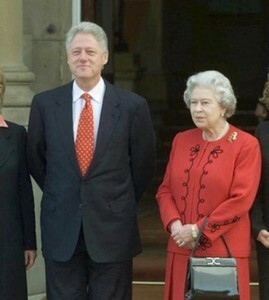 Clinton’s “cat that ate the canary” grin is because he had just been introduced to the Queen’s chubby intern. “Dubyah” is regaling the Queen on the bliss of rounding up cattle at the ranch in Crawford. 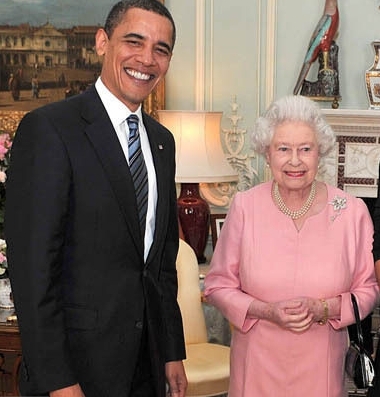 Now it’s the Queen’s turn to appear uncomfortable in the presence of our first African-American President (unless, of course, you count Bill Clinton). 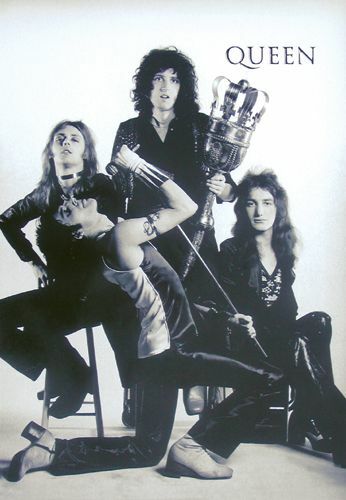 Just thought I’d throw this picture in. Thank you to Small Town Girl for the idea for this article.